Ben Bernanke began his reign as Chairman of the Board of Governors of the Federal Reserve System on February 01, 2006 and added his second term on February 01, 2010. But he started with the Federal Reserve back in 2002 as a member of the Board of Governors. His academic career as a professor of economics lists top schools like Stanford, Princeton, and M.I.T. He himself graduated from Harvard. There is no shortage in training or preparation for his current position. However Many people are upset at his policies of lowering interest rates. Typically the Federal Reserve will lower rates to offset a slow economy where there is little to no inflation. Ben has done this because we experienced deflation when our housing prices fell after the bubble popped. For Seniors who typically avoid risk and seek fixed investments like CD’s this low interest rate environment is particularly stressful. The FDIC posted national average rates for 1 year CD’s is .25% for November 2012. With rates that low seniors will suffer, in order to generate $2000 a month in interest you would need to put $9,600,000 in a 1 year CD. By contrast if you can get 4% on your money then you only need $600,000 to generate $2000 a month in interest. Bernanke’s focus has not been our retirees who look for interest to supplement their Social Security, instead he has focused on business and getting people back to work. Until the unemployment numbers are down, the interest rates will not be going up. Setting a bench mark for inflation at 2% before interest rates will rise, tells us Ben is not in a hurry to help the fixed income dependent group. So using a professional CD Broker to get to the top interest rates makes more sense now than ever. Why not use someone who will search nationwide to find above average interest rates and locate banks and financial insitions that are government backed and completely safe. 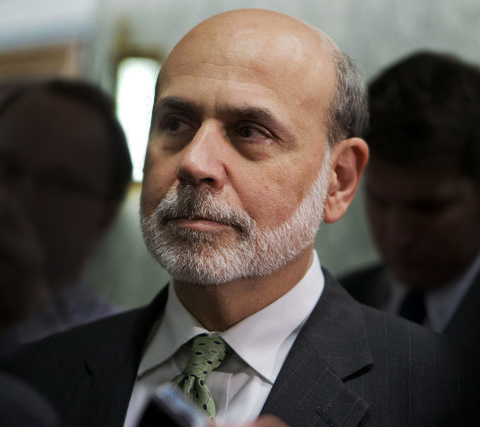 Old Harbor Financial can get you ahead while Ben Bernanke is fixing the economy. Call one of our offices and speak to a professional, who will help you get the interest rates you need. Most of our customers have multiple accounts with us. They find after using our services that they can not top our rates or personal relationships that form. In fact we will not recommend a CD or any product until we know what you are looking for. Then we will search and present you with multiple offers from a variety of different institutions, this is something your local bank could never do. So call us today!